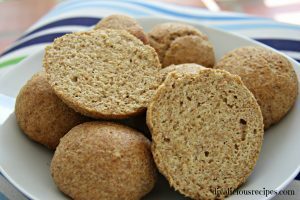 Flaxseed psyllium husk bread rolls that are easy to make and look like proper bread too! 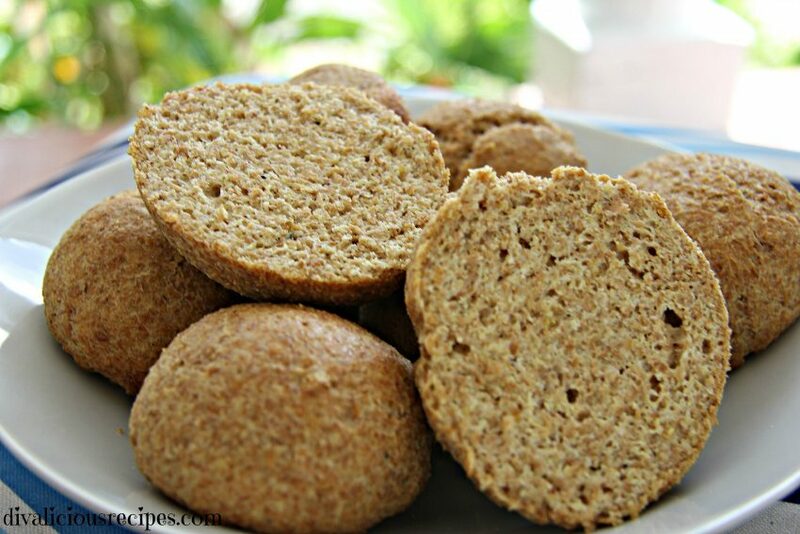 High in fibre, low in carbs and gluten free they are a great healthy bread roll. Are you following a low carb or gluten free lifestyle (I refuse to use the word diet) and missing bread? Need a bread roll for your keto and paleo lunch plan? 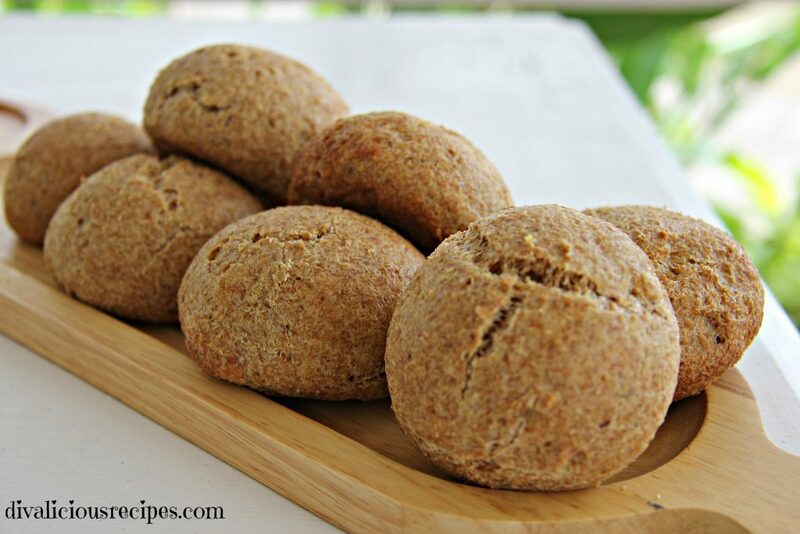 Behold the flaxseed bread roll with just 2g net carbs each! After dropping the husband off at the airport this week, my mind wandered to what I could bake that I enjoy and he wouldn’t. I love flaxseed bread which he is not as keen on so thought I would try this in roll form and add psyllium husk powder to make it a bit more “bread-like”. 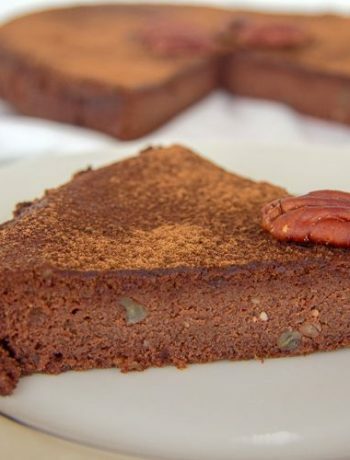 I was so delighted with the results that I shared it immediately on Facebook and the response made me push this recipe at the top of the list to publish. 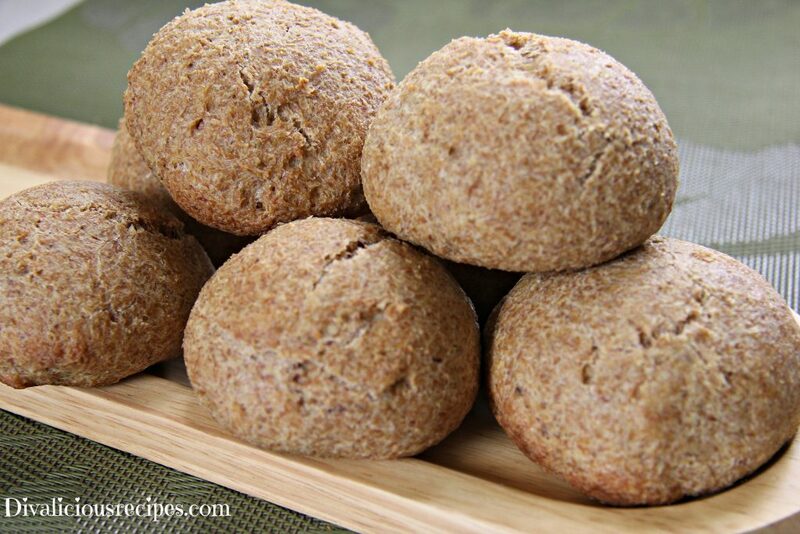 Since the rolls contain psyllium husk powder and flaxseed they are very high in fibre and filling. I munched two for lunch and they kept for going for hours. I used golden flaxseed flour but you could use the darker one if you wish. I am just so excited about this recipe that I’ve already got a list of variations and flavours to try out so watch this space for more healthy bread! 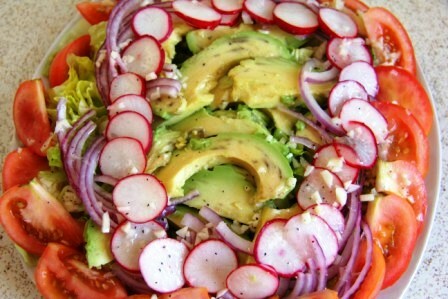 Below are a couple I had for lunch with avocado, tomato and lettuce with a slathering of mayonnaise. Very tasty and filling. Place the flaxseed, baking powder, salt and psyllium husk powder in a bowl and whisk the ingredients together. Add the egg whites and egg yolk and whisk well. Add the oil and apple cider vinegar and whisk until the mixture is combined. Pour the boiling water into the mixture and whisk to combine. The mixture will be slightly sticky. Using wet hands, roll the dough into 6 balls and place on a parchment lined baking tin. Hi Angela! Do you think I can make this in a loaf pan instead of rolls? Yes, but you may need to bake it a bit longer. Thank you so much – cause God knows i have missed my toast!! That smell of toast in the morning is something I miss too! Made this last night, subbed the psyllium for 2 tbl spoons of almond flour and 1 tsp of Xanthan Gum, Turned out fantastic. made burger buns and hot dog buns. Really made my day. Is it possible to use 4 whole eggs? (Not sure if the egg whites have a particular purpose.. ) thanks! You could but the consistency will be a bit heavier. Thank you so much for this recipe! I can’t get enough these flax bread! I have made them 3 times and they are so versatile both in shape and taste! I made them in to rectangles for sandwiches and circular with avocado or PB and apples. This recipe was exactly what i was looking for when I discovered how much sugar was in loafs of bread. One question though, the insides of my bread dont get fully cooked each time I bake them. So, my solution was to cut them in half and put them back in the oven. Any other suggestions or what I could be doing wrong? Hi Sophie! Glad you are enjoying them! Have you tried baking them for a bit longer at a higher temperature? Or make them slightly smaller to see if they cook through? Can I use white vinegar instead of apple cider vinegar? No. It would not work and would taste bitter. I’ve made these 3 times now with both golden and dark flax, and they’re lovely! Yah! Glad you like them! Huzzah1 I’m delighted you enjoy these as much as I do! Please feel free to post pictures of the loaf here or on Facebook! Thanks for choosing this recipe and happy baking! Hi, Can u tell me where I can get the psyllium hucks powder and Flax meal from that is NOT expensive? I’m on a fixed income. Thanks……….. I get my psyllium husk powder from a chemist under the “colon cleansing” area. It’s normally cheaper than the health food shops. For the flax meal, look at the supermarkets for packets of linseed. This is the same as flax seed and can be ground down to the meal/flour using a coffee grinder. Sometimes they have the packets in a ground form too. I’ve noticed that the packets are smaller and cheaper than purchasing a large bag of flax meal. Perhaps have a look at Amazon too? Also if you local grocer sells bob’s red mill, they’ve got some for pretty cheap to. I’ve been looking for some good recipes for flax flour and other wheat alternatives. (I grind my own gold flax seed, but grind it fine instead of coarse.) Coconut is the next less expensive and available to me. 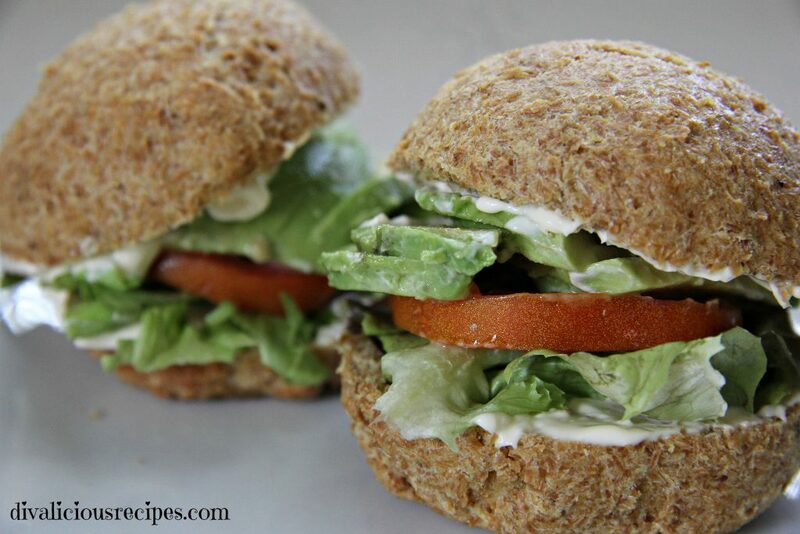 I’ve used a basic flax recipe to make muffins, but this site appears to have the best alternatives for something I can use for sandwiches – can’t give them up! So I’m going to try both the flax and coconut flour recipes here. I have one question though. I take daily doses of unfiltered apple cider vinegar for my blood sugar. Is this the ACV that you are referring to when you list Apple Cider Vinegar? It’s what I’d prefer to use. Hi, yes it is! I drink it in the morning with some water too. 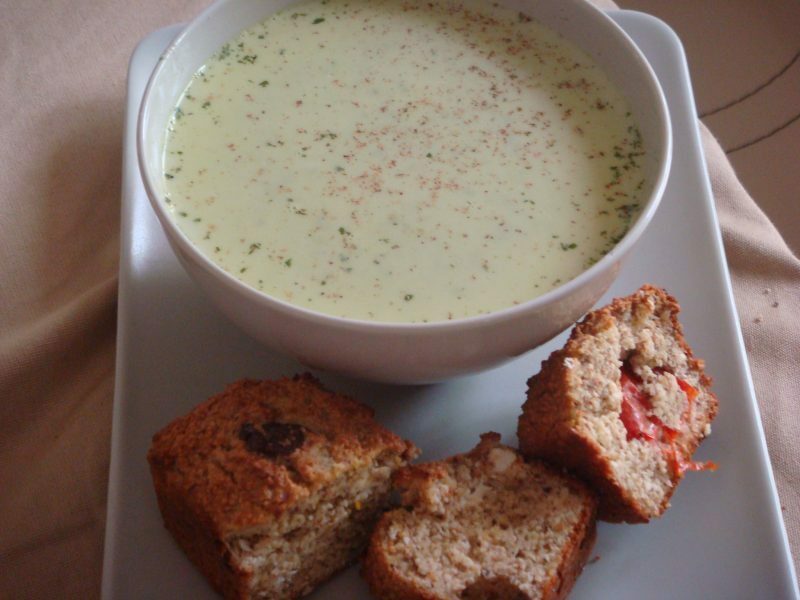 I recommend the flaxseed bread rolls with pysllium husk powder. Very “bread” like. Happy baking and thanks for getting in touch. how many calories in one roll. if i am reading it correct the calorie count is for six rolls BUT i am afraid the count could be one roll? i am going to make a batch and figure it out. Thank you so much. Hi, that should be the calorie count per roll. It’s still only 2g net carbs per roll though! Enjoy! Are you using flax seeds or flax meal? I made a similar recipe from a GF bread book & your rolls look amazing so I need to make them soon! Looks great and easy enough. Please do! Would be great to share them too! Sounds good! Thanks for sharing! Send photos! 2 cups flax meal came to approx 200g for me. How did you get 330g? Can there be such a vast difference? I make my own ground flax meal at home with roasted flaxseeds. I just used an online converter for the flax seed as I use cups. Wonder if there is a density difference to the information that I found online? The nutritional information comes from nutritionselfdata.com and might vary due to brands of ingredients used perhaps? Right on the package of Bob’s Red Mill Golden Flaxseed: 3 tbsp = 31 g (and 2 net carbs). There are 16 tbsp in one cup, so one cup would have 165 g. 2 cups = 330 grams. Don’t know what you bought, but the math is the math.